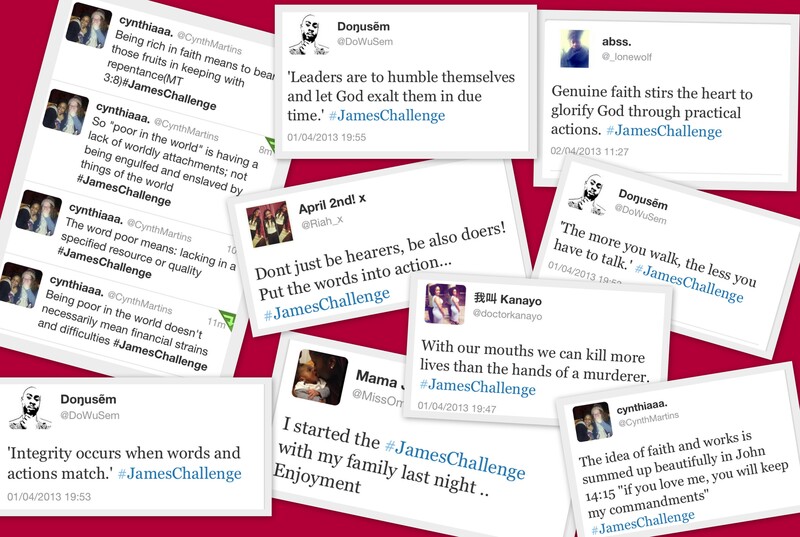 The book of James really focuses on our attitudes and behaviours as Christians which I believe is so key in really getting the most out of our Christian walk and abiding in God’s will for us!Some points I haven’t touched on in my summary are covered in everyone elses contributions, so I didn’t want to repeat and bore you all! James 5 brings the multiple themes in the preceding chapters together! James 5:1-5, really focuses on the attitude of man to his wealth and brethren. Where do your values lie? In the Day 4 post we looked at how it is wrong for us to only care about increasing our wealth without caring for those in need, our friends…selfish ambition. God is just and James really convey’s the result of those who selfishly chase after wealth. 13 Is anyone among you in trouble? Let them pray. Is anyone happy? Let them sing songs of praise.14 Is anyone among you sick? Let them call the elders of the church to pray over them and anoint them with oil in the name of the Lord. 15 And the prayer offered in faith will make the sick person well; the Lord will raise them up. If they have sinned, they will be forgiven. 16 Therefore confess your sins to each other and pray for each other so that you may be healed. The prayer of a righteous person is powerful and effective. 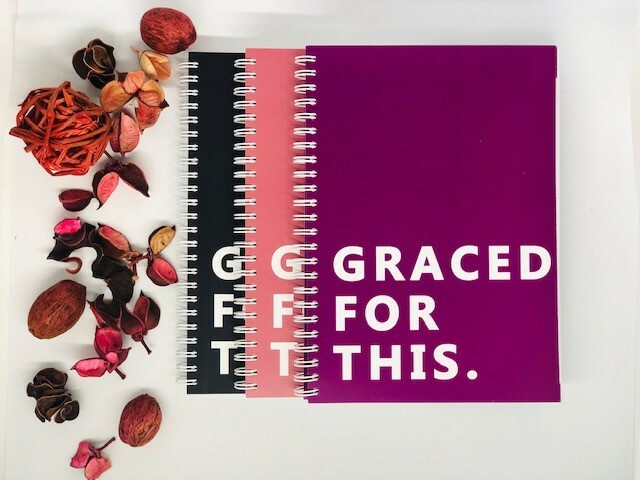 The verses above give practical guidelines for our response to our various emotions. Something that all of us need to take note of and put into practice. It highlights two things for me: The power of prayer and the power of fellowship/unity/accountability. Prayer is so key! Its our main way to communicate with God. Throughout the book of James he talks about prayer and how we must pray with the right motive, but this chapter highlights something new in latter part verse 16 ‘The prayer of a righteous person is powerful and effective’. To be righteous is to have right standing with God. Our righteousness doesn’t come through our works, but it comes through our belief and total reliance on the redeeming power of Christ. When we grasp that understanding of righteousness, then there will be a fulfilment of scripture! Our prayers won’t be wishy washy but they will be powerful and effective! Read my blog post on Prayer for a greater understanding! Should I really confess my sins to others? Some of you can’t confess your sins to others because you can’t even confess it to yourself or God. The feeling of condemnation, pride, shame stops us from doing this important thing. To confess your sin to your brother or sister in Christ is not to give them something to gossip about, but it is an act of seeking wise counsel and it is also an opportunity to share a testimony of how God enabled you to overcome that sin. Its not just a problem with the individual caught in sin..we need to think about why people don’t feel comfortable about speaking of their sins??? Christians being judgemental makes it hard. The holier than thou attitude pushes people away. 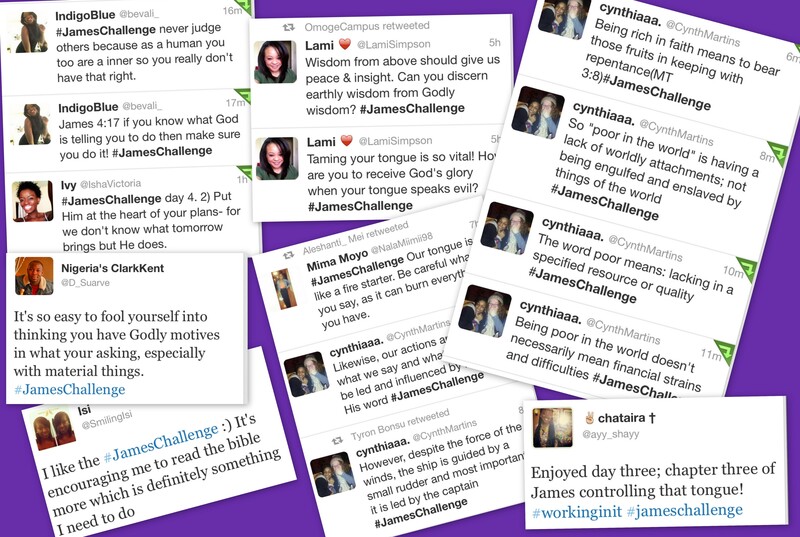 Sometimes we take the seat of God’s judgement and try to enforce it, but James talks about not judging our bretheren. There’s a difference between being judgemental and giving constructive criticism. Romans 14 is amazing in challenging our judgemental tendencies! The habits of saying swear down, swear up or swear on mums life or swear to God need to be cut out! Yeah I know its just slang and we don’t think it means anything, but let us not forget what James has been telling us these past five days, that our words carry so much power!!! The Bible is very clear, Our slang needs to be in check. A lot of us are even remixing biblical terms to common colloquial words. Be careful of how you use certain words because it could be seen as blasphemous and disrespectful. This is something that I know for a fact that I need to work on!! Can’t be calling ratchet ungodly things anointed, glorious, righteous, biblical…just a few ones that I know people use on a regular basis! Remember out of the abundance of the heart the mouth speaks, get your slang right, get your heart right! Luke 6:45. Just to say I am thoroughly enjoying all these challenges that you are putting place, it truly is wonderful and well done to you! James chapter 5 for me teaches that Jesus is just around the corner, he is just around corner and with that we must always have it in mind and must always be prepared for Jesus’ coming in whatever we do, it makes us better people and better as a Christian also. The book of James teaches us about faith and how we must continue to have faith. Faith is some sort of strength. Looking at James 2:26 it says: “As the body without the spirit is dead, so faith without deeds is dead.